Rumson and Colts Neck drivers who want a high-end luxury sedan with low monthly payments should consider leasing a Jaguar XE at Jaguar Monmouth. With a wide selection of new Jaguar XE models for you to choose from, like the 2019 Jaguar XE 25T RWD or the 2018 Jaguar XE models, you can take advantage of our current Jaguar XE lease specials to get a great deal! 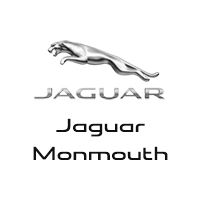 When you lease a Jaguar at Jaguar Monmouth near Red Bank, you’ll be able to take advantage of leasing benefits like excellent warranty coverage, purchase and trade-in options at the lease end, and more. The XE sedan is a perfect choice for leasing because you can access all the refinements of the Jaguar brand with a lower down payment. Jaguar Monmouth not only has a wide selection of Jaguar XE configurations and options, but we also have a great customer service team willing to help you secure the lease deal that makes sense for your wallet. Visit us today at 807 NJ-35 in Ocean Township, NJ to explore our Jaguar XE inventory or talk with our team about our available Jaguar lease specials. Don’t wait–take advantage of this opportunity as supplies are limited.